A statistics poster is a display containing two or more related graphics that summarize a set of data, look at the data from different points of view, and answer specific questions about the data. The competition is open to all K-12 students in Pennsylvania in the four grade level categories: K-3, 4-6, 7-9, and 10-12. Cash prizes, certificates, and ribbons are awarded for first, second, third, and fourth place in each category. Certificates are awarded for honorable mentions in each category. The winning posters from the Pennsylvania Competition are submitted to the National Statistics Poster Competition. 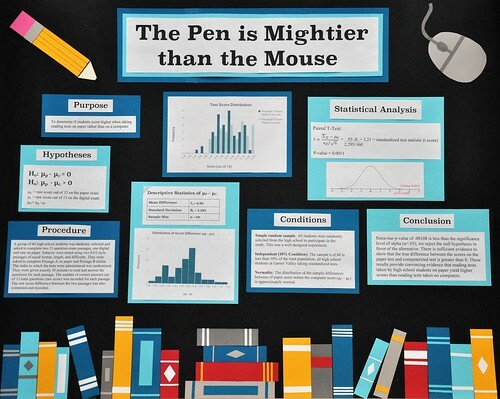 We are thrilled to announce that the Saint Francis Science Outreach Center will again host the Pennsylvania Statistics Poster Competition for 2019. Cash prizes and certificates are awarded for first, second, third, and fourth place in each category. Certificates are awarded for honorable mentions in each category. The winning posters from the Pennsylvania Competition are submitted to the National Statistics Poster Competition. Posters MUST be postmarked by midnight on Friday, March 1, 2019. 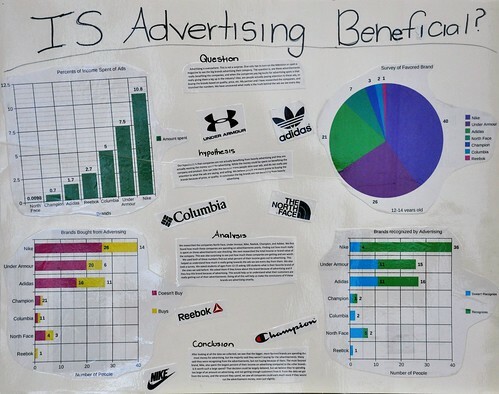 A statistics poster is a display containing graphs that summarize data, provide different points of view, and answer some question (or questions) about the data. All students in grades K-12 in Pennsylvania are eligible to participate. Entries will be judged in four grade level categories: K-3, 4-6, 7-9, and 10-12. Entry process - Complete the electronic entry form. Print the confirmation email and submit the form with your poster as described in the Rules and Guidelines section. 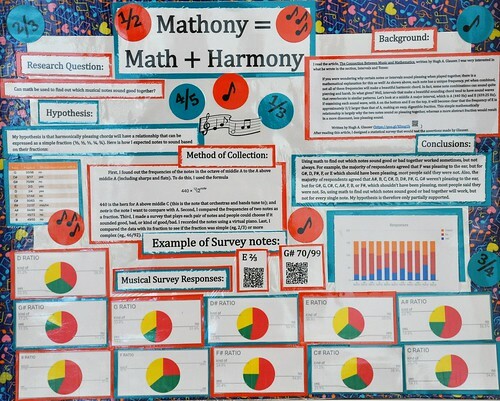 USPS: Saint Francis University, Science Outreach Center, 2019 PA Statistics Poster Competition, PO Box 600, Loretto, PA 15940. Winners for the Pennsylvania Competition will be announced in April 2019. Posters are to measure between 18 and 24 inches high and 24 and 30 inches wide (no larger). Any weight of paper is permitted. Shipping Information: The best way to send a poster is flat, between taped sheets of cardboard. Please know that we receive between 500 and 800 posters, so send posters using a method that lends itself to easy opening with a razor (this will help keep the poster from being damaged during opening). No extra papers, no "peanuts" or other non-Earth friendly packing materials. Be sure posters are not wrapped so securely that opening becomes a challenge. Do not use duct tape or large amounts of tape. Any layers of paper on posters must be affixed securely. Building a third dimension to the poster with paper or other materials is strongly discouraged. Lamination is recommended. Posters must be the original design and creation of the entrants themselves. Representing more than one aspect of the data in one graph or by using more than one graph is strongly encouraged. Be sure the poster itself gives no information that identifies the students, teacher, school or district. A separate entry form must accompany each poster. Only first-, second-, third-, fourth-place, and honorable mention winners will be notified personally. The Science Outreach Center website will announce the Pennsylvania winners in April. The ASA web site will announce national winners in August. Students may work individually or in teams. For the K-3 category, a team may consist of up to an entire class. For the other categories, the team may have up to four students. The highest grade represented by any team member will determine the entry category. All posters submitted become the property of the competition organizers as a "work for hire" under the copyright act, and will not be returned. Submission of posters constitutes consent to use winner's names, likenesses, and entries for editorial, advertising, and publicity purposes. Overall impact of the display for eye-catching appeal and visual attractiveness, and for its ability to draw in the viewer to investigate the graph or graphs. Clarity of the message's demonstration of relationships and patterns, obvious conclusions, and the ability to stand alone, even without the documentation on the back of the poster. Appropriateness of the graphics for the data. Judging will take place in March 2019. All decisions by the judges are final. 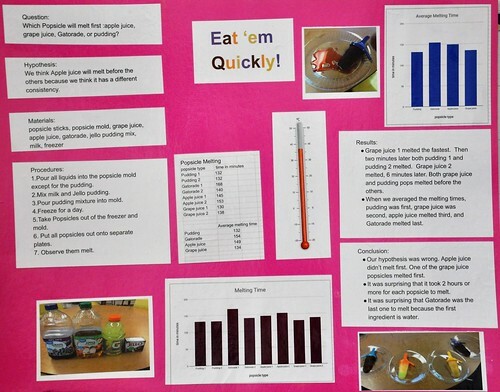 To be involved with judging of the PA Statistics Poster Competition please contact the Science Outreach Center. If the submission is a collaborative effort, the prize money will be divided equally. For the K-3 category, winning poster submissions by a team of 5 or more students will be distributed according to the school's specifications. Pennsylvania Statistics Poster Competition winners will also be submitted to the National Statistics Poster Competition, which is coordinated by the American Statistical Association.